Are the locks on these the ones that also lock the castor from rotating as well as wheels? Hi. What's the diameter on these? Thanks. Penn Elcom Online Replies: Diameter is 100mm. 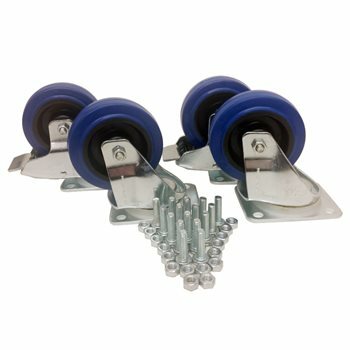 Wheel rides on bearings, metal bushings, nylon bushings, or just on plain plastic wheel center? Penn Elcom Online Replies: The wheel has metal bearings in the swivels and the spindle also has metal bearings.